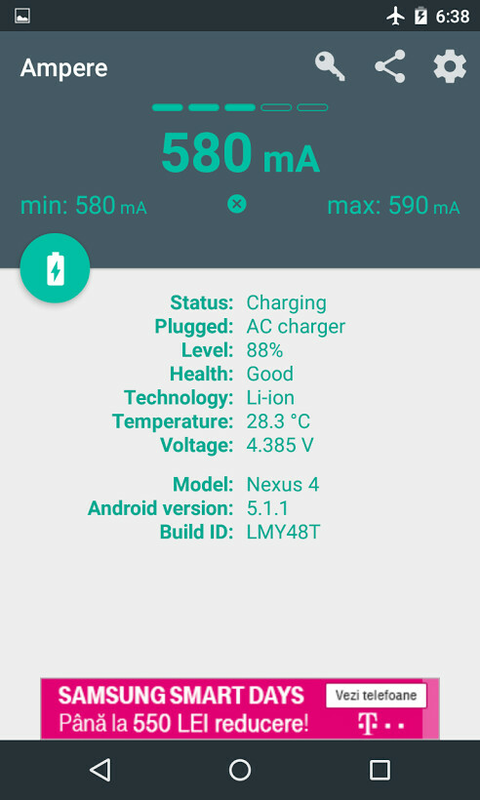 In this article, we’ll show you how to check if your Android smartphone or tablet gets enough juice from its charger. Furthermore, we’ll also show you how to determine how much current your phone or tablet is consuming at any given moment. Batteries are one aspect of the modern smartphones that tend to get a lot of attention these days. With all this talk about smartphones with large batteries, optimized power consumption, and quick charge technologies, it’s sometimes easy to forget that using a compatible charger is of great importance. For both of our tasks, we’ll use a free little app called Ampere. Go to the Google Play Store and download Ampere now before we dive in. There are two scenarios to consider in this case, and we’ll treat each one individually. As each Android smartphone or tablet is designed to charge at a certain current intensity, the charging intensity will vary from one device to another. If you have a working original charger, you can use this to determine the recommended current intensity for charging your device. Step 1. Open the app and connect the original working charger. Ampere will now measure how many mA of current your phone’s battery is getting. Step 2. Unplug the original charger and plug in the charger that you want to verify. If the current intensity is smaller than with the original charger, the battery will take longer to charge. Note that a small difference will have negligible impact on the charging time, a huge one means that you should get a stronger charger. If you don’t have an original charger that you can use as a benchmark, you’ll have to get creative. Here’s a method that we recommend, but please note that it’s not bulletproof. Step 1. Do a Google search and find a listing for the original charger your Android device came with. Note the current intensity (usually listed in mA or A). 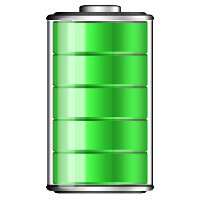 Most smartphones come with chargers that can actually deliver a higher intensity than what the battery can draw. That is because the phone also needs some juice to do stuff such as keeping the screen on, powering the CPU, and transferring data through Wi-Fi or a mobile data connection. Step 2. Take a charger that you want to test, plug into your smartphone. Now open Ampere and let it do the measuring. Step 3. If your smartphone charges with somewhere around 0.8 x the current intensity from the original charger, you’re probably good to go. If not, then you should look for a more powerful charger. Aside from allowing us to measure the current coming from a charger, Ampere also lets us determine how much current a phone or a tablet is consuming at any given point. Step 2. Go to the settings panel by tapping on the gear icon in the upper left corner of the app. Now tap on "Basic Settings". Step 3. Enable “Enhanced measurement“. 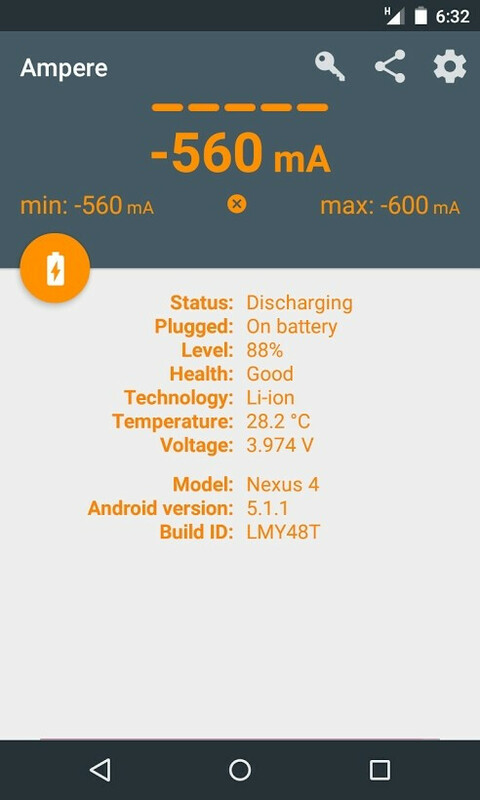 Now go back to the app’s home screen, where Ampere will do some measuring, then display the intensity of the current which is drawn from the battery. Use this measurement to fine-tune your settings. For example, try changing the brightness level, enabling the mobile data connection, or turning off the Wi-Fi, and check for changes in the Ampere results. With some fine tuning, your phone can be gentler on the battery. As an added benefit, you can also determine how much juice is needed to power certain services and functions. C. Charging your Android smartphone with beefier chargers. While manufacturers want us to use the original charger, most of us have tried charging our smartphones with a beefier charger, such as the one that come with modern tablets. One very interesting thing that we found out while experimenting with Ampere’s measurements on various phones and chargers is that phones place a limit to how much current they are willing to receive. For instance, the Samsung Galaxy Alpha comes with a 1.35A charger, which charges the phone at 1.25A most of the time, sometimes a bit lower when we had mobile data and location turned on as well as the display at its full brightness. When we swapped the phone’s original charger for a 2A battery pack, we were surprised to learn that the Galaxy Alpha simply doesn’t accept more than 1.25A, and it doesn’t use the extra intensity. To make sure that this wasn’t an isolated result, we’ve also test-driven a Google Nexus 4. Again, the 2A charger could only feed the phone with about 0.7A of current, which is roughly what the phone gets with its original charger. We’ll need to dive deeper into this before drawing any definitive conclusions, but it looks like charging your phone with a beefier charger will not hurt your battery, as smartphone makers impose limits to how much current the battery draws. Its deadly dangerous to charge a phone with a beefier than recommended charger. Recipe for KaBOOM!!! And if the user or even somebody else happens to be unfortunately close by, the results could be nasty. Better be patient and wait an extra hour or two for charging to be completed.And its moot for most modern android flagships atleast.. they come with fast charging. No it's not. As the article notes the phones will limit what they can accept. I'm surprised anyone finds that surprising. Newsflash--your typical wall outlet will supply 15 amps (really more). But your typical lamp takes something less than 100 watts (sometimes much less). The lamp doesn't go KaBOOM when you plug it in because the lamp bulb limits what it can take. I'm really surprised that the author wasn't aware that the device limits the current drawn. The important rating for a charger when it comes to device compatibility is the volts it outputs. That needs to be what the device is designed for (e.g. 5 volts). The amps (or mA) that the charger will supply typically just determines whether the device will charge at its top rate (or at all). I'd be surprised if there is a single smartphone that was ever designed with a USB power connector that would be damaged by having too beefy of a charger. That would be incredibly stupid given how universal that plug is. One more point not made in the article. If your charging device does not have its own cord, then the USB cable you're using could be limiting your charge. Not all USB cables have sufficient gauge wire, and even at low voltages a short run of wire can reduce the charge rate. So you could have a charger that could provide 2A of charge, but only deliver 1A through a cheap cable. Yep, I've got a cheap cable that I bought a couple of weeks back that limits power drawn to about 0.5A. This explains why it charges my phone so slowly.